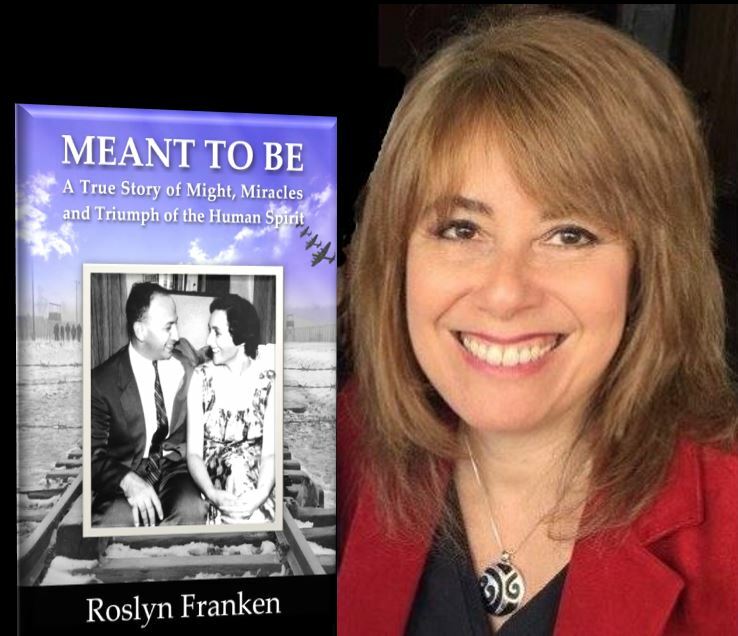 ST. PETERSBURG, Fla. - Sept. 18, 2018 - PRLog -- Acclaimed motivational speaker Roslyn Franken presents a multi-media presentation of her book, Meant To Be, on Sunday, October 14 at 10:30 am in the Benjamin Family Social Hall at Congregation B'nai Israel, 300 58th Street N, St. Petersburg FL. This event is free and open to the public. Book signing & refreshments will follow presentation. In her heartfelt and engaging speaking style, author Roslyn Franken reveals the unforgettable true story of her parents. John and Sonja Franken were two unlikely survivors of WWII who found everlasting love against all odds. John survived the Nagasaki atomic bomb as a Prisoner of War in Japan, while Sonja survived the concentration camps in Nazi Europe. Roslyn also shares how when diagnosed with cancer at 29 with a tumour in her neck resting on the main artery to her brain, she turned to her parents' strength and never give up attitude as inspiration in her fight to beat cancer. Her parents' story was the subject of a Gemini award-nominated television documentary and a movie adaptation of her book, Meant to Be, is currently in development for production as a feature film. Author Roslyn Franken travels across North America telling her parents' inspiring story to diverse audiences from youths to seniors, faith-based groups and community organizations to corporations, those fighting cancer and other groups. For more information about Roslyn Franken, visit http://www.RoslynFranken.com.